One of the great things about living in the Southern Interior of BC is the multitude of fly fishing opportunities available. Of course, when opportunities abound, so does the gear. But in a market with a lot of gear, how does the consumer find the products with great value?? Well, really, it’s all word of mouth. With most companies spending big money on advertising and marketing, word of mouth is the only real objective information you’ll receive on a product. That’s where gear reviews come in handy. I’m just one guy with one opinion, but I think it’s helpful to both consumers and retailers, since the best way to unveil strengths and weaknesses is let the anglers (and the fish) have their way with the product for a while. So on that note, I’d really like to thank Togens Fly Shop for giving us the chance to throw these reels around. They played an integral role in us being hated by quite a few fish. The reels look good, work well, and feel nice as part of the rod. The ZSRA is a nicely sized reel. It strikes a good balance between spool width, spool depth and arbor diameter to create ample line capacity in a moderately sized reel that isn’t too wide. 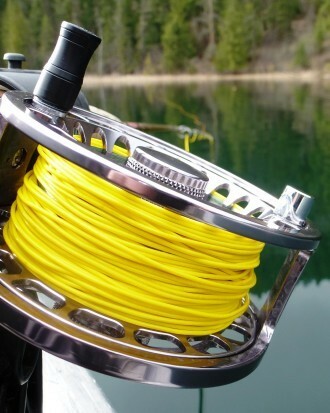 Although generous width does mean that a reel can stay small, the use of width to limit arbor radius and/or spool depth can create a reel that requires one to have to use a finger as a line guide. In my experience, the reel can potentially overfill a portion of the spool, requiring some finger guidance so that one section of the reel does not overfill. In all fairness, it is rare to not have to do the finger line-guide on large arbor reels. People like to keep their reels as small as possible to keep weight down and balance rods better, but the flip side is trying to keep room for ample backing and still prevent fly line from building up to the point where it interferes with the frame when not perfectly guided by hand. I was lucky enough to have had to catch up to a couple of big bruisers on the ZSRA. The retrieval rate was found to be comfortable given that the arbor is small enough to create generous line capacity without making the reel huge. 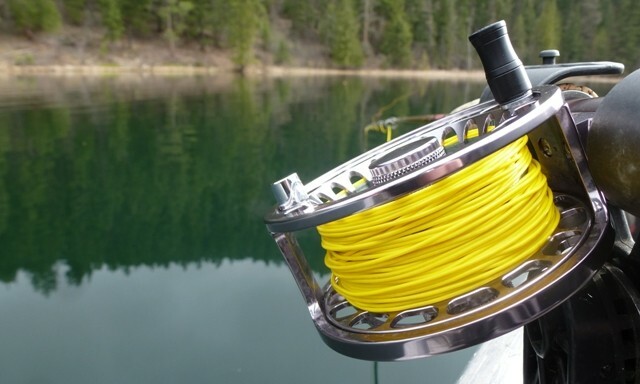 Remember the trade-off here: a high retrieval rate means a large arbor, but in order to have a large arbor and reasonable line capacity, overall reel size (and consequently weight) have to increase. Somewhere in the middle lies a good compromise, and it feels like the ZSRA is certainly close, if not right on the money. Sound: The Togen reel clicker sound ranges from a subtle, mellow clicking when slowly feeding line, to a pleasing “buzz” when in scream mode. A notable feature of this reel, and one that folks may or may not appreciate, is that it clicks on line-out only. Line-in is completely silent and without resistance. I suspect it would make little difference to the user once accustomed to the reel – and the silence. Drag: The drag on the ZSRA is a sealed multi pack of carbon disks, and it is infinitely controllable (no defined “clicks”). This is the first infinitely controllable reel I have used, and although I found the drag control to be easy to adjust and be responsive to even the smallest adjustments, I can see why some people prefer to have adjustment increments (or “clicks”) on their drag. It should be noted that reels with adjustment increments generally don’t have the range of drag control as those that are infinitely controllable. The ZSRA is a simple yet pleasing design. The spool has a fair bit of material removed to enhance design and reduce the product’s weight. So far, knock on wood, I can’t comment on how the removal of material affects the integral strength of the reel, or more specifically, the spool. Currently, there is nothing leading me to believe that the reel or its components would lack any strength or structural integrity. Handle: Feels ok, but not extravagant by any stretch. A bit on the thin side. 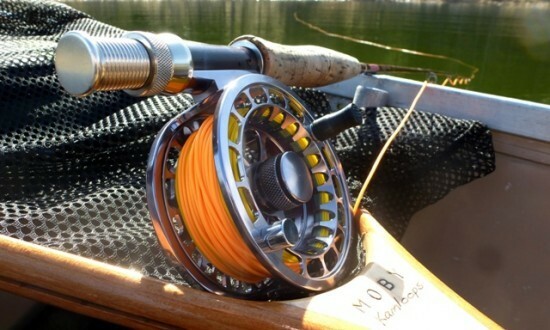 Something beefier or padded might be comfy, giving the reel an added touch for little additional expense. Drag knob: Nicely textured with a fine crosshatch to prevent slippage when adjusting with wet hands (or fish slime on your fingers). A great feature is that that the drag knob, or spool tightening/loosening knob remains on the spool even when loosened to the point where the spool may be removed. No “kerplunk” as the knob accidentally gets loosened off!! Spare spools: Yes. $75 CAN per spool. Handing: Interchangeable, use same spools for either handing preference. The Togen ZSRA comes with a neoprene “pouch” style case. The case would be adept at preventing scratches and scuffs, but I’m uncertain whether it would protect the reel in the event of a more “forceful” incident. I’ll be frank, the case is hardly bombproof. I’ll be further frank, though: at $265 CAN (but currently sale priced at $157 CAN) the reel has a very reasonable retail cost, a sealed drag, great dimensions and attributes, and a lifetime warranty to the original owner. The reel case/pouch might not be on par with reels of twice the retail cost, but is it reasonable to expect it to be? The reel has incorporated construction, features, and innovations that make it a contender in the fly reel market, and at pleasure to fish with. 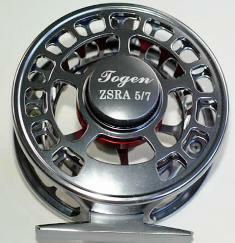 Considering the value in this unit (especially at the sale price), I certainly wouldn’t be going out on a limb to recommend the Togen ZSRA as good choice for your next reel. 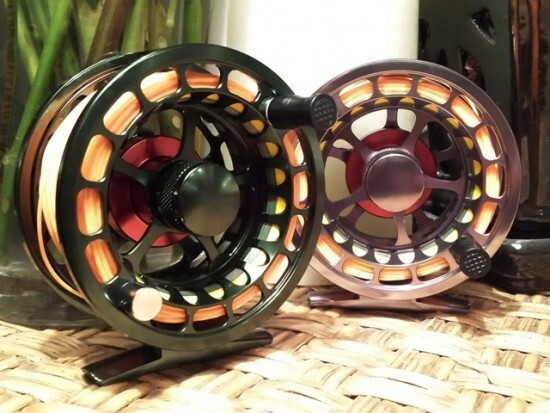 * For more information check out the Togen Fly Reel page here!